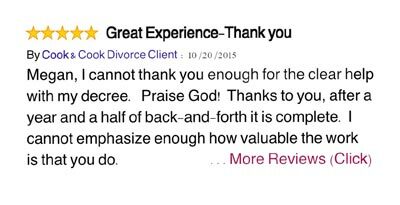 Agreed Divorce, Do You Have One? File My Divorce Right Now–I’m READY! What Happens When Spouse Wants to Drop Your Assault Case? We hope this list of answers to your frequently asked questions about our Simple Divorce at Cook & Cook Law Firm will help quickly assist you! How long will the simple divorce take? If you and your spouse can return all requests for documents and information within 2 weeks of our request, the divorce will be completed 61-70 days after the date of hire. If a fast divorce is a high priority for you, this is a great Firm for your needs because we offer the absolute fastest time frame for divorce that Texas law allows (61 day waiting period is required by law). What if I do not know where my spouse is? Do I come in and meet the lawyer in person before I hire them? For the simple divorce, you can hire us simply by sending over some easy information via email and paying through a secure link. An in person meeting is not necessary. If you would like to meet with a Cook & Cook Lawyer for a consultation, we charge $100 for .5 hours and would be glad to meet you. Our telephone consultations however are free. How much does a simple agreed divorce cost? Please read this page, which details the current prices for our simple divorce. If you are not sure whether you have a simple divorce, read this page or you can learn what an agreed divorce is by going here. There are no added taxes or fees. However, if your divorce is contested or if you need additional divorce provisions and services beyond the basic package, your lawyer can discuss the additional prices with you. Feel free to call us at (210) 271-2800. We are very open and transparent about prices at our Firm. What if it turns out that my divorce is contested? 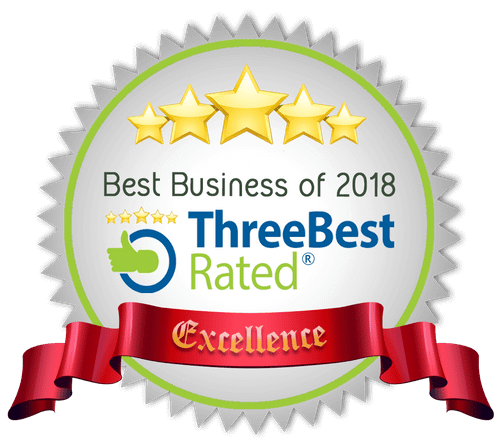 We highly recommend that you discuss your uncontested divorce with your spouse prior to hiring a Firm so that you do not invest in the wrong service. If your spouse wants to have a contested divorce, you will need to hire a Firm for a contested service.  The contract for a simple divorce with Cook & Cook only includes uncontested divorce services. If you believe that you have a contested divorce, we would be glad to meet with you and discuss the services we may be able offer, depending on docket availability. (210) 271-2800. How is the customer service at Cook & Cook Law Firm–Will I be able to reach my lawyer? We strive to have the best customer care in the industry. You will not have trouble reaching your lawyer if you have any questions about your case. Ready to file your divorce? Go Here. We Are Honored to Represent You. 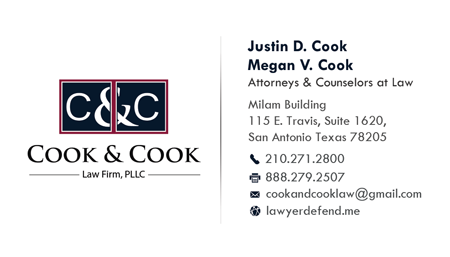 Cook & Cook represents clients for serious State criminal charges at the trial and appellate levels in San Antonio only. 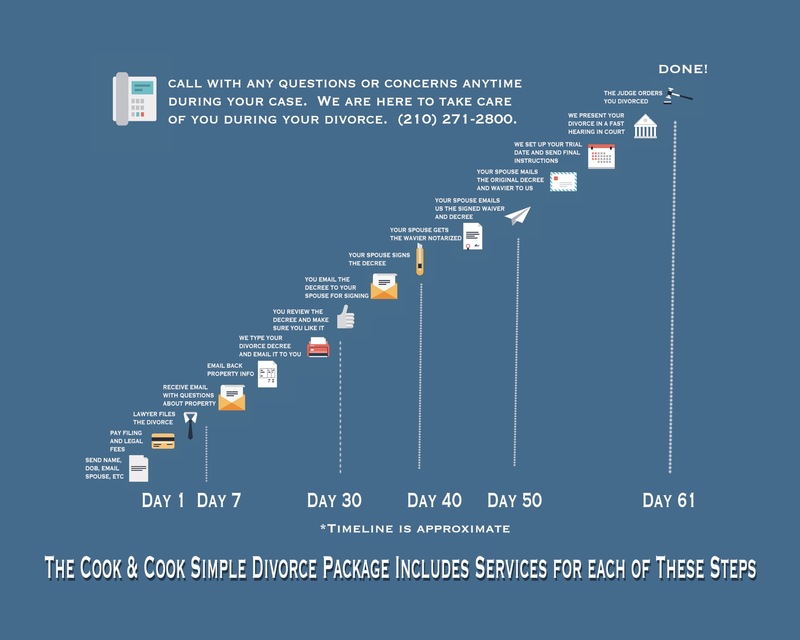 Cook & Cook represents clients for uncontested divorces in San Antonio and Austin, Texas for both complex and simple estates.